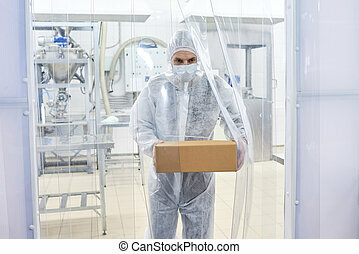 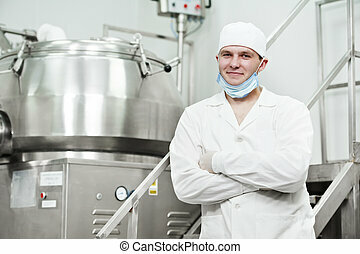 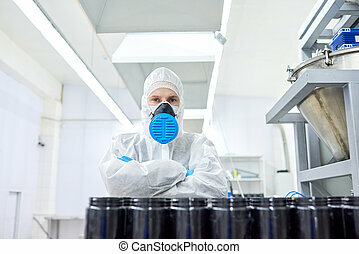 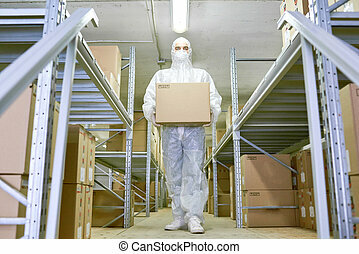 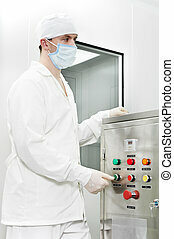 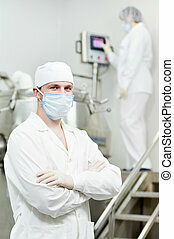 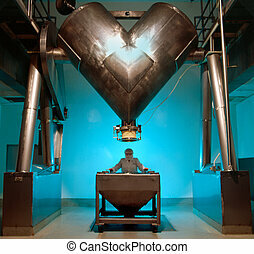 Pharmaceutical factory worker. 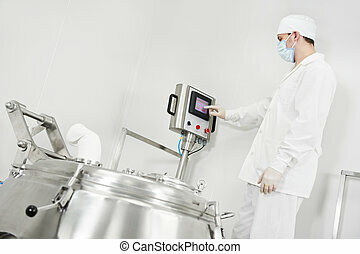 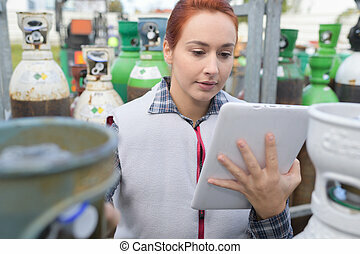 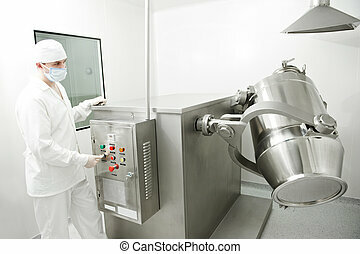 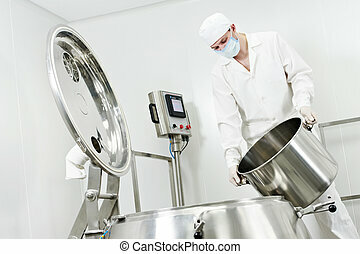 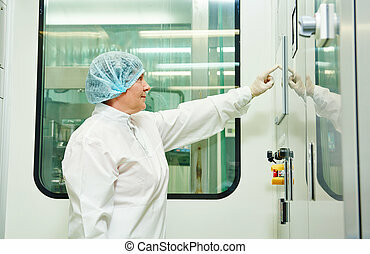 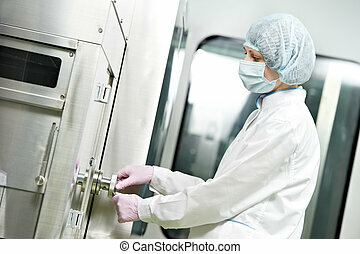 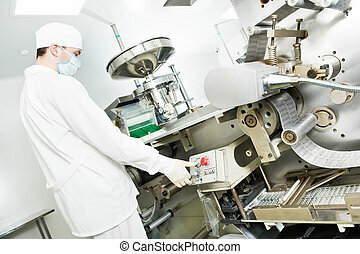 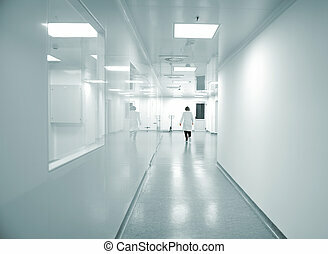 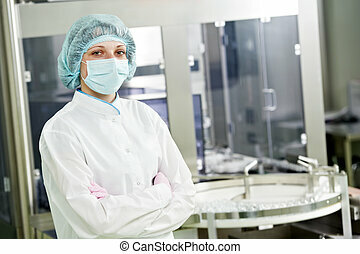 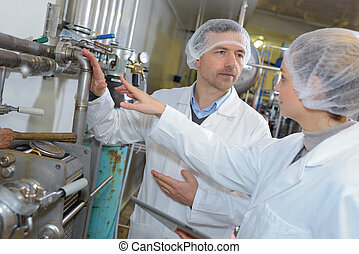 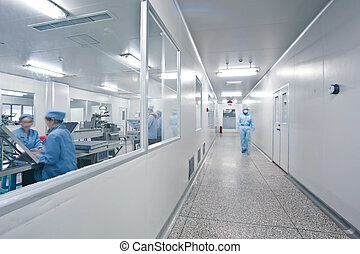 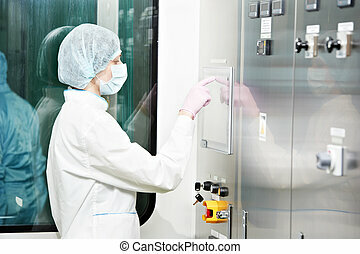 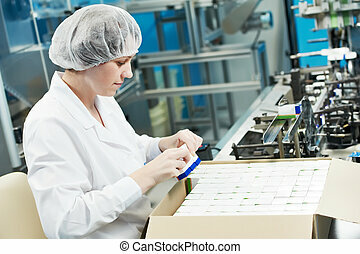 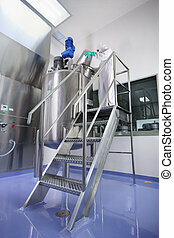 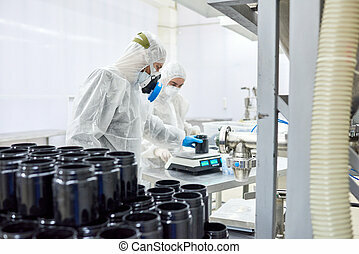 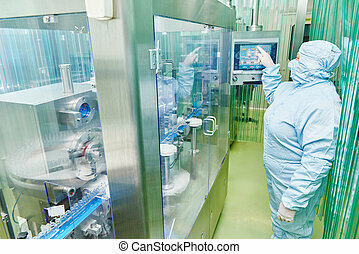 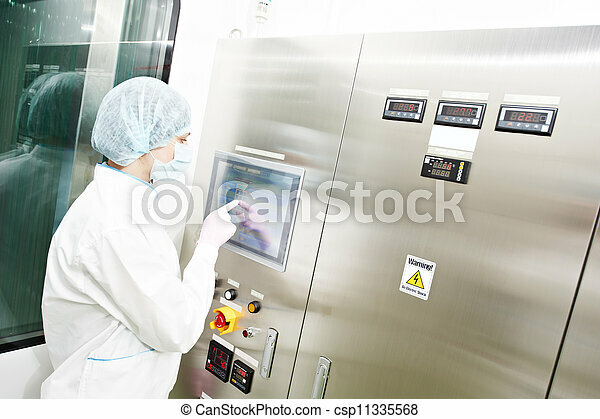 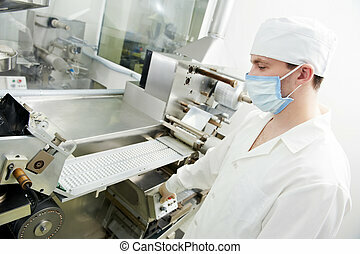 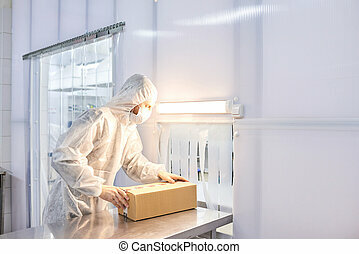 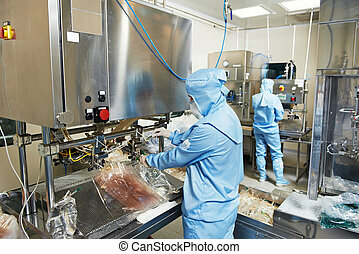 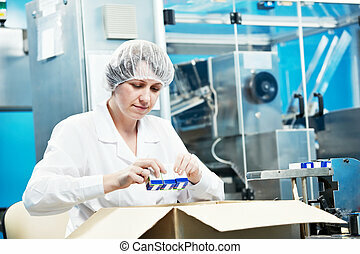 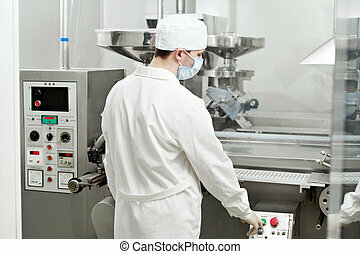 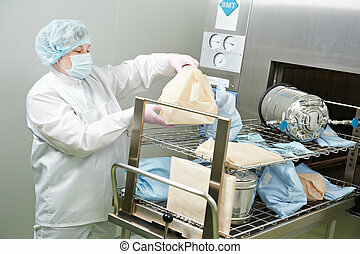 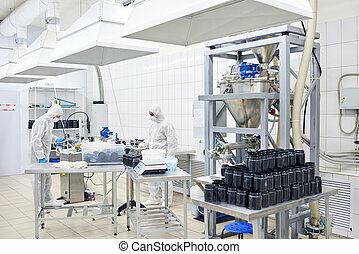 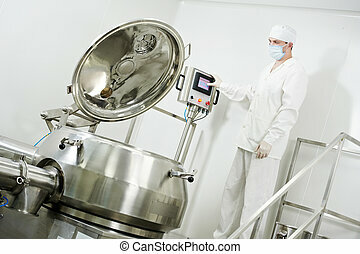 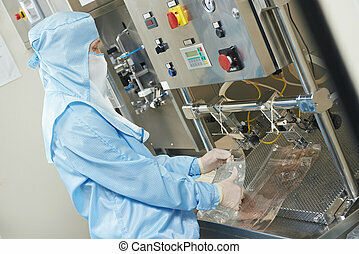 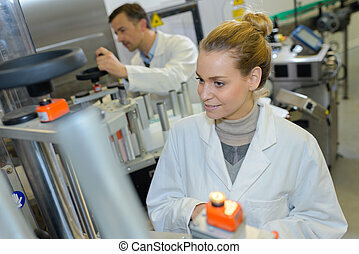 Pharmaceutical factory woman worker operating production line at pharmacy industry manufacture factory. 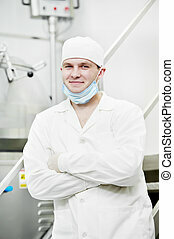 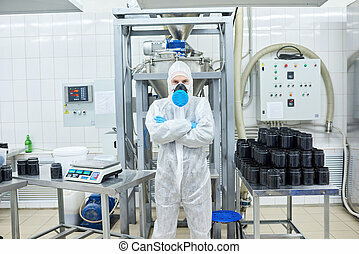 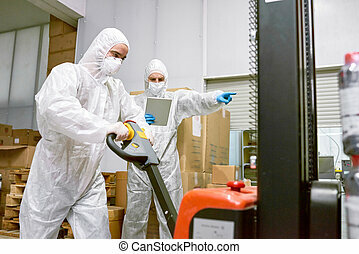 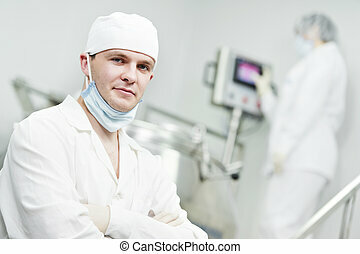 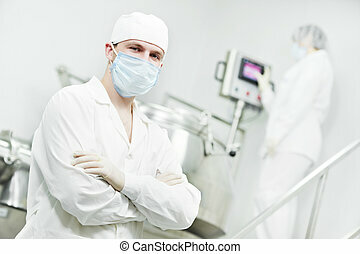 Head and shoulders portrait of confident young worker wearing coverall and respirator standing at manufacturing department of sport nutrition factory with arms crossed and looking at camera.